Paramount aesthetics with practical design. 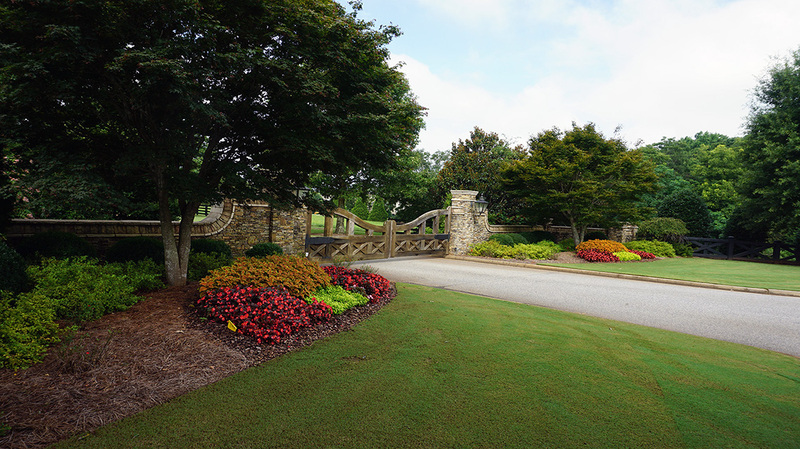 Developments driven by responsible project oversight with environmental site assessment, site planning, erosion control & pollution prevention, stormwater management, and comprehensive landscape design. 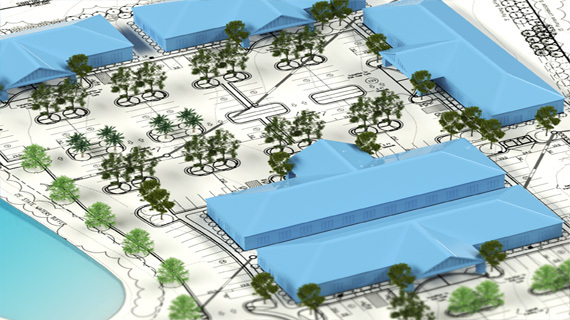 Implementing innovation and functionality to create economical and efficient land use solutions including conceptual studies, civil engineering, and construction inspection. 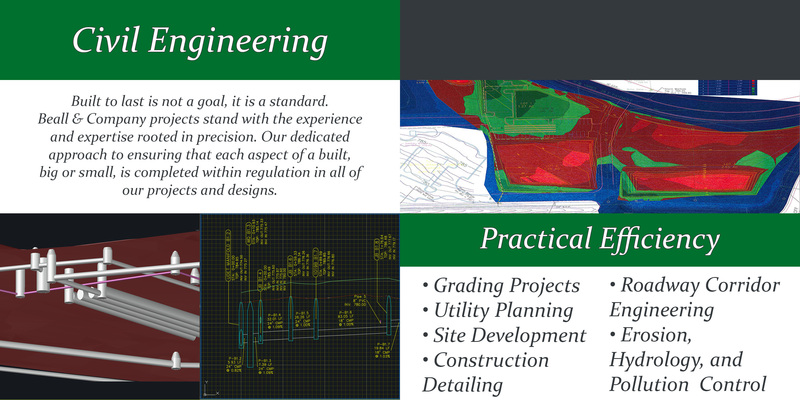 Complete civil site development planning with value engineering, including: site development planning; site grading plans; roadway corridor engineering; utility planning and profiling; hydrology studies and report generation; construction detailing; & more. 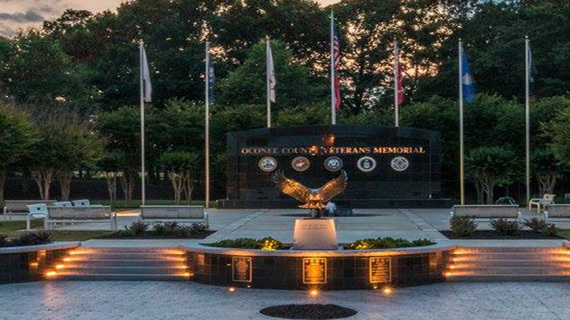 Working with the opportunities that an area has to offer, functional and aesthetic enhancements are created to produce dynamic and custom designs at any level of detail, complexity, and scale. Services include: site planning & design; environmental site assessment; erosion control & pollution prevention planning; stormwater management; & comprehensive landscape design. 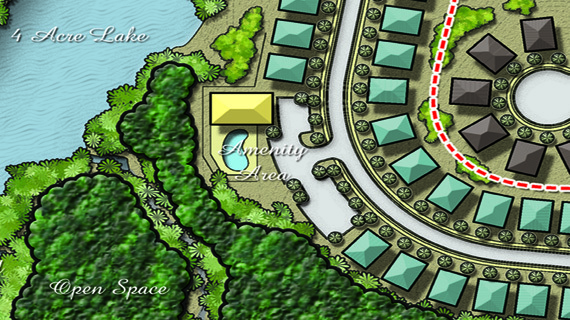 Proper planning, zoning and permitting are crucial to the success of any project. Beall & Company provides an in-depth knowledge of laws and regulations with over 20 years experience working with government officials by representing clients at municipal review hearings. 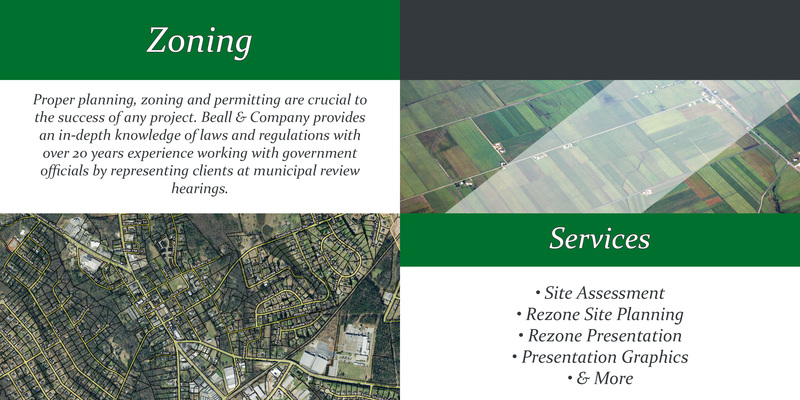 Services include: site assessment; rezone site planning; rezone presentation; presentation graphic production; & more. 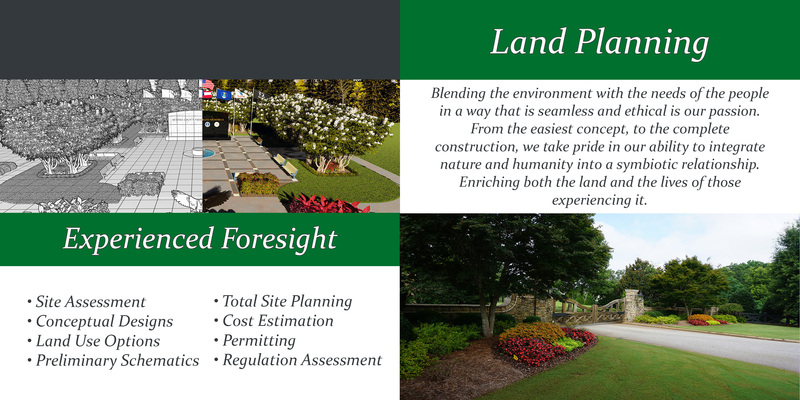 Services include: site assessment; assessment of regional development requirements; preliminary schematics; conceptual designs; and cost estimation refined to prepare and evaluate land use options & plan production. 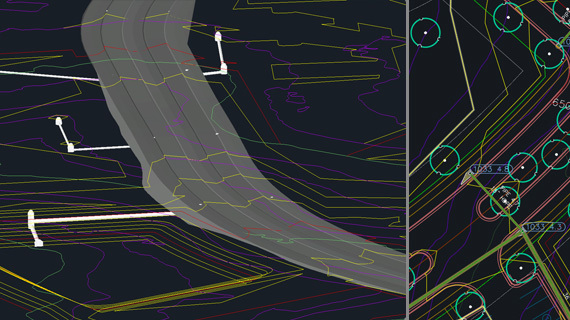 Project visualization is critical for plan comprehension on behalf of clients, municipal review entities, and marketing purposes. Presentation graphics are the means to grasp that visualization. 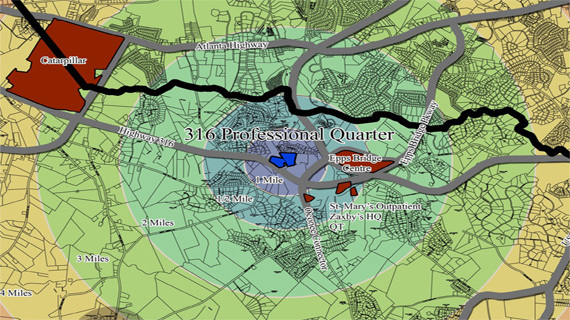 Services include: illustrative plan rendering; 3D illustrative rendering; marketing packages; & more. Aerial drone video is used to highlight specific projects & their surroundings. Services include: pre-construction drone aerial footage; post-development aerial video footage; marketing & video packages coupled with project-specific presentation graphics.